Pulses are getting a lot of hype lately and for good reason. 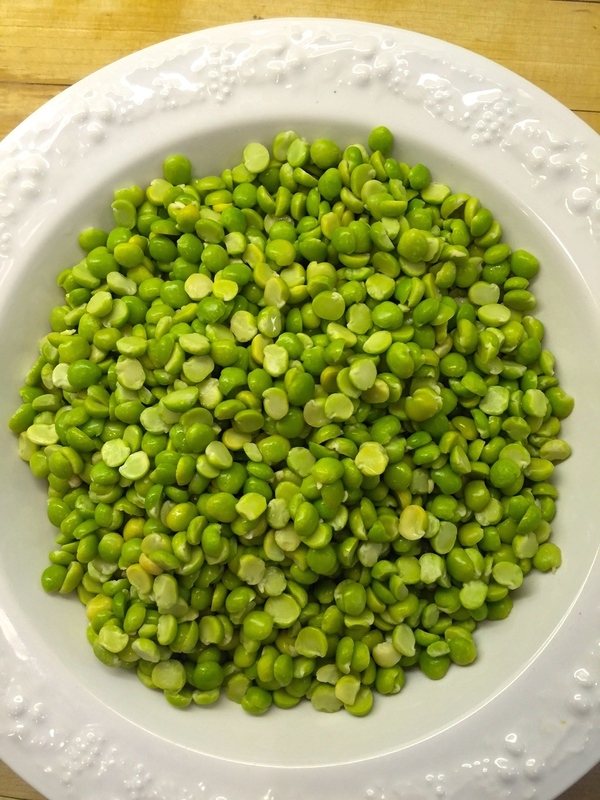 They are rich in nutrients and fiber, a terrific source of protein, and they are available all year long. 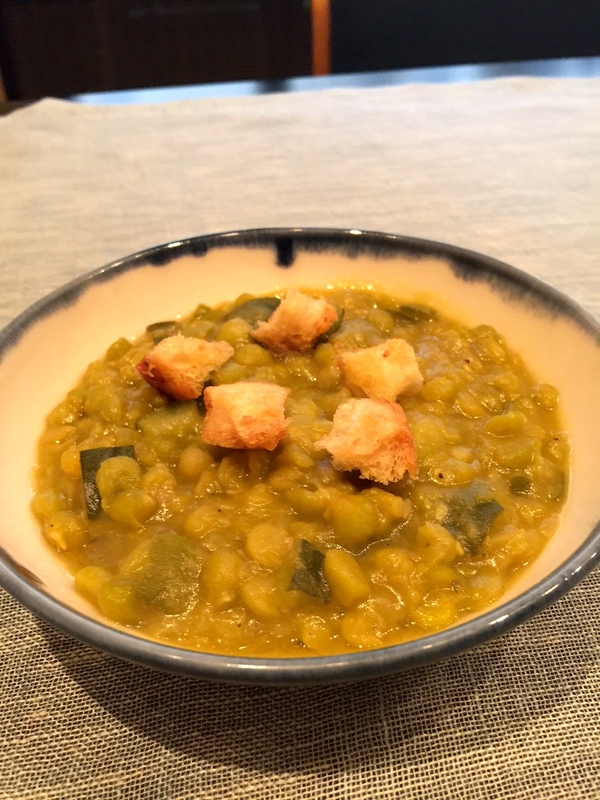 Our split pea soup is made with zucchini and rutabaga- a root vegetable that is a cross between a cabbage and a turnip. The combination adds an unexpected sweet and savory flavor to this hearty soup. 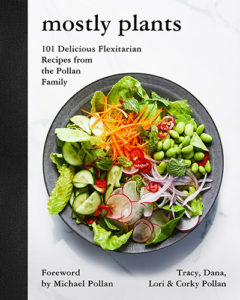 We top each bowl with garlicky, crispy croutons giving each bite a delectable crunch. This soup is a meal in itself. 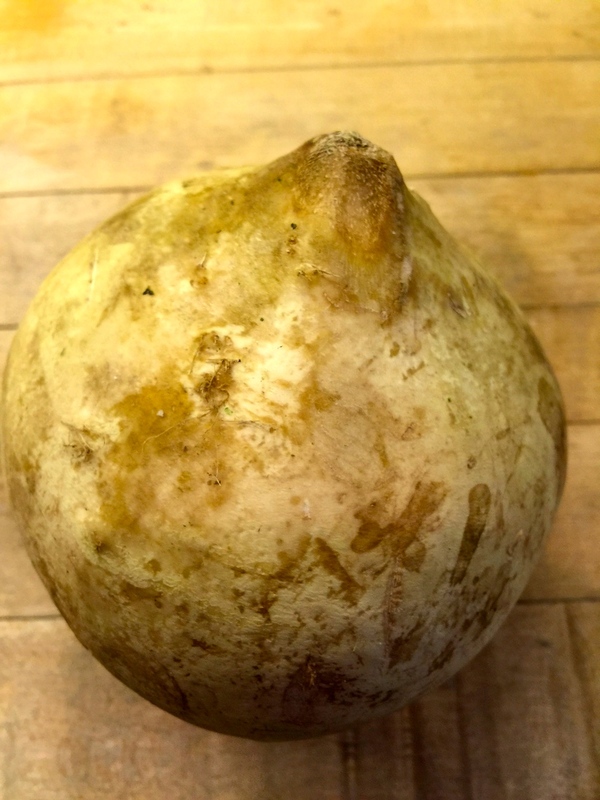 The rutabaga adds a unique flavor to this soup. 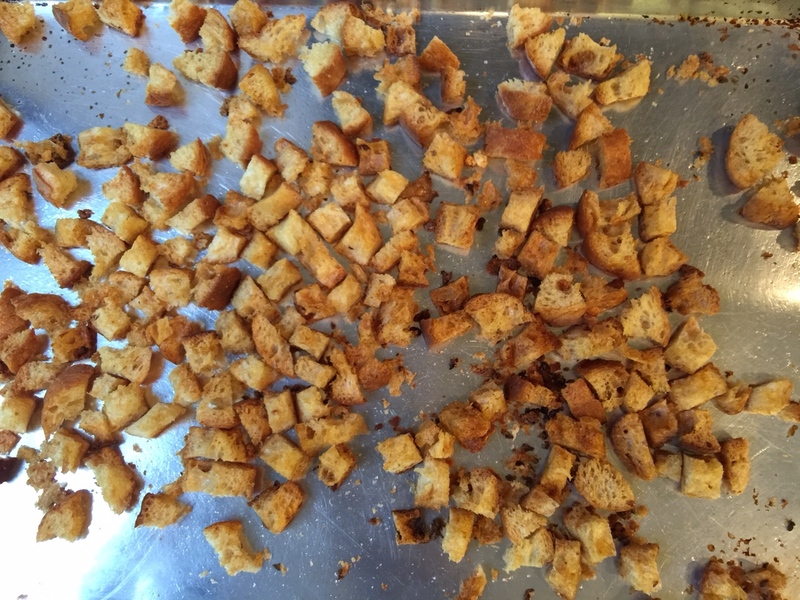 We make the croutons while the soup simmers. Heat the olive oil in a large pot over medium-high heat. Add the onions and cook until soft, about 2 minutes. Lower the heat and add the garlic and stir for 1 minute. Add the rutabaga and stir for 2 minutes more. Add the zucchini and sauté for 1 minute. Pour in the broth, add the turmeric and mix well. Raise the heat to high, bring to a boil, then reduce the heat to low and simmer uncovered, stirring occasionally, for 55 minutes or until the split peas are tender. Add 1½ teaspoons of salt and ¼ teaspoon of pepper. Meanwhile, in a large mixing bowl, combine the bread, oil, and garlic and mix together (hands work best for this) until the bread is coated. Spread the bread out on a rimmed baking sheet and bake until golden brown and toasted, about 18 minutes, flipping with a spatula halfway through. 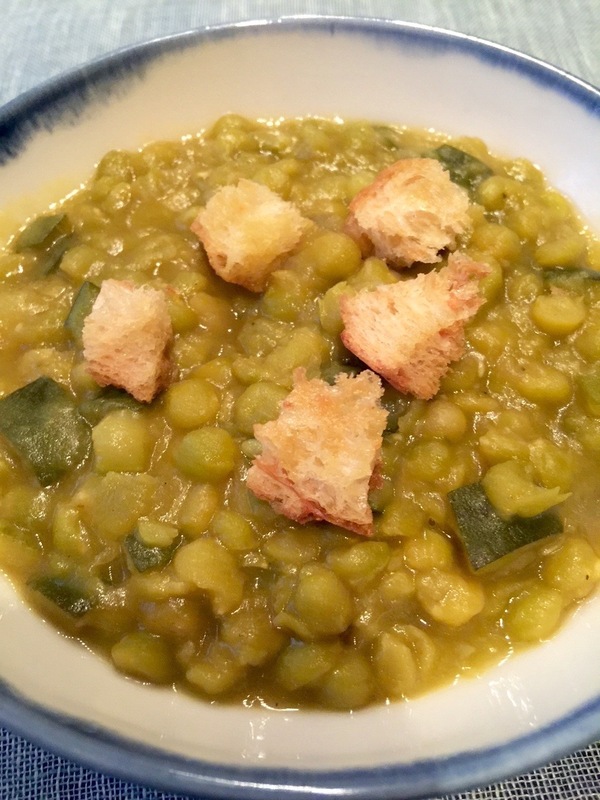 Ladle the soup into individual bowls, top each with a handful of croutons, and serve.